Check our offer, reliable and cheap taxi from Podgorica airport to Sveti Stefan (Saint Stefan) and you will not be disappointed. 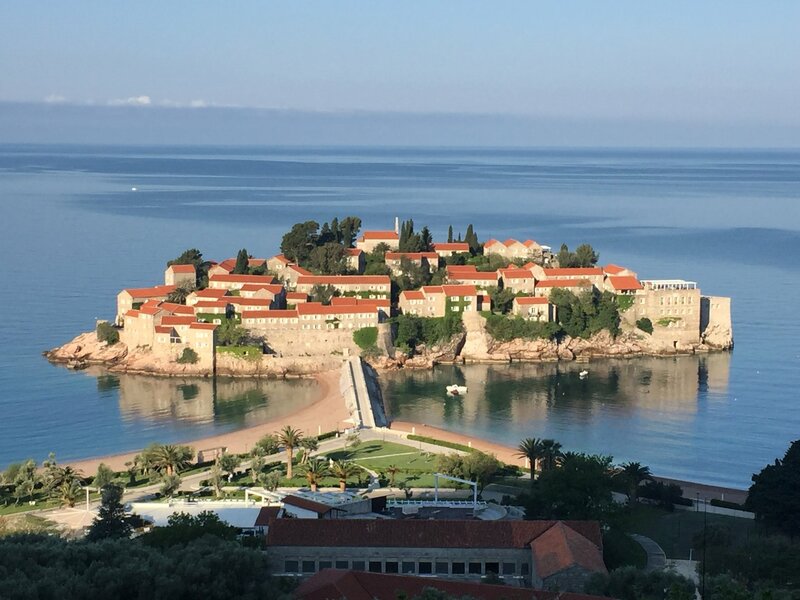 Professional entrepreneurs with a decades of experience will provide your transportation from Podgorica airport to Sveti Stefan at the best way, and by reasonable price of 40 Euros, valid per a car up to four travelers. Taxi airport Podgorica to Sveti Stefan, Milocer, Przno and Rafailovici is a frequent need of many travelers, and they can get it from us 24 hours daily. Comfortable fleet (vehicles mostly Mercedes E class) and professional chauffeurs will give you maximum satisfaction during the trip. When you book online taxi Podgorica airport – Sveti Stefan, or call us, you will contact directly one of our English language speaking drivers in Podgorica. We are proven professionals, not hotels liftboys or relatives of the owner of the apartment that you booked, which want to earn some extra money. Taxi from Podgorica airport to Sveti Stefan costs always the same, 40 euros whenever you need a ride. These fee includes all associated taxes such VAT, traffic toll and travel insurance. For a sure there is no additional charge, like night tariff or waiting in the case of aircraft delay. Transportation by bus from Podgorica airport to Sveti Stefan does not exist, and according to our fair offer it is redundant. One of the easiest ways to reserve a taxi from Podgorica airport to Sveti Stefan is to fill our online scheme, which is more than a simple for use. You just need to enter an email on which you will receive the answer, and your name. In a field message, please enter your request for a taxi from airport Podgorica to Sveti Stefan with precise date and time of your arrival. Second way of booking is to use our phone line, which is by the way operational 24 hours. This is also the phone number to schedule transportation from airport Podgorica to Sveti Stefan through SMS. But please, if you are able of course, book your transfer through our booking form. If you are interesting how to provide payment, we are offering several options.First and the most popular mode is payment in cash upon your arrival.This is the safest way which operate for a decades without problems. If you want to pay by credit card your taxi transport airport Podgorica – Saint Stefan, that is not problem for us. This method of payment should be pronounced in advance. Payment via invoice is also possible, but for this way are basically interested companies which want long term cooperation.It is always up to the customer, whichever mode you choose to pay taxi transfer Podgorica to Sveti Stefan, it suits us.